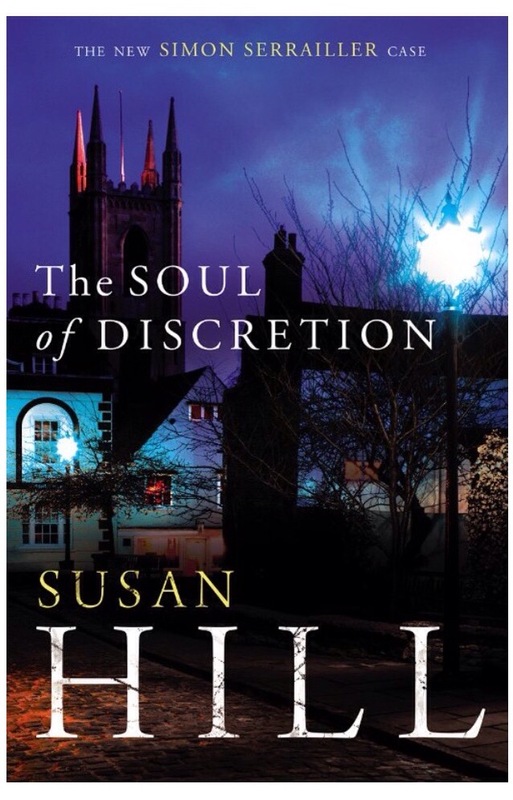 The book I enjoyed most this month was The Soul Of Discretion by Susan Hill. My review is here. 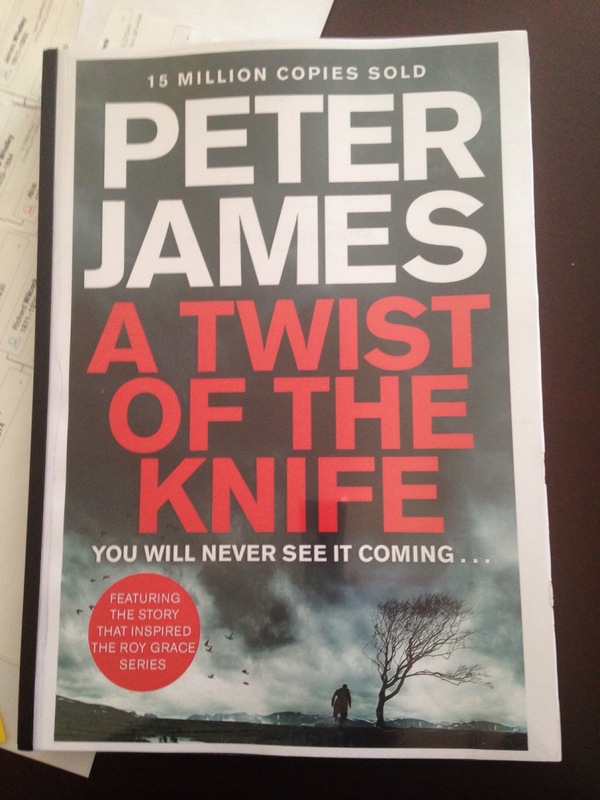 A Twist Of The Knife by Peter James. Read October 2014. I quickly realised this wouldn’t be bedtime reading, then rationed myself to a few stories a day so I could savour the experience. 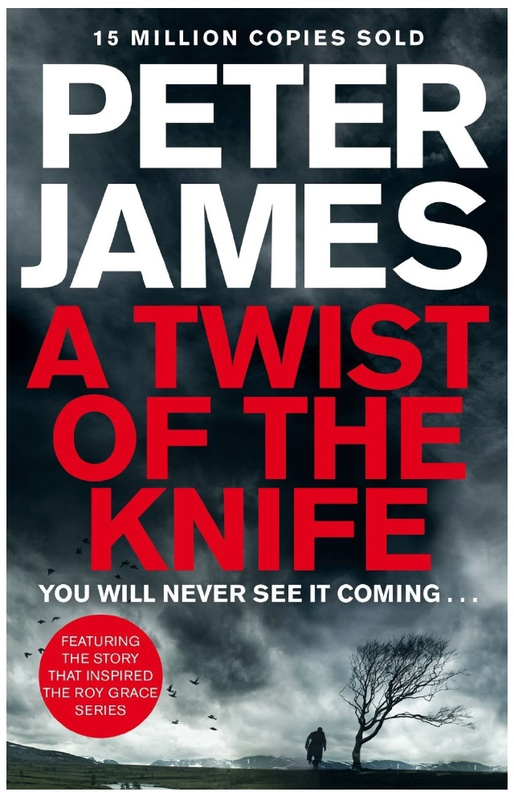 A new Peter James book is one of the highlights of my year but I confess my heart fell when I realised it was a short story collection. I’ve never been a fan of short stories – I don’t like the feeling of just getting to know the characters then it’s all over too quickly. A Twist of the Knife has completely changed my opinion. Each story was a new delight and even the very short ones (less than a page) had an impact. Whilst reading A Twist of the Knife I heard a radio interview with the author who gave some background to some of the stories. This added an extra dimension to my enjoyment of the book. The stories I most enjoyed were those based on true incidents as they challenged my scepticism of all things paranormal. I vow to be more open-minded in future. Thank you to the publisher, via Midas PR, for the proof copy to review. 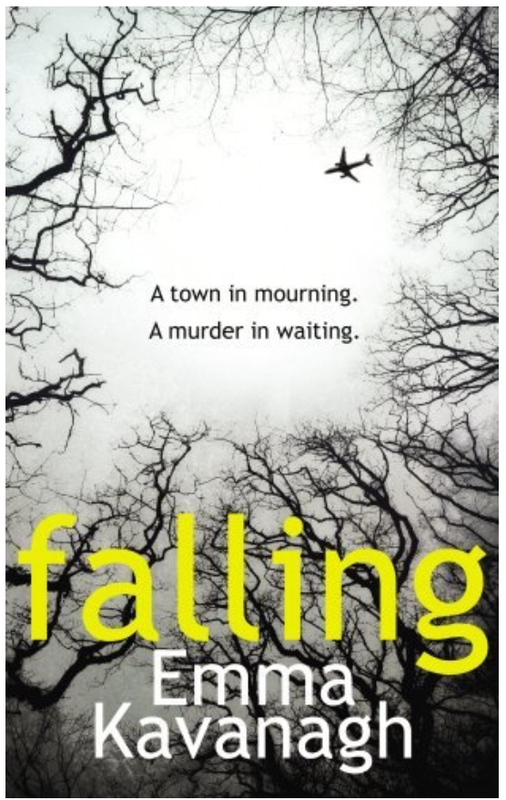 Falling by Emma Kavanagh. Read October 2014. A father grieving for his daughter, a daughter who can’t grieve for her father. Just two of the intriguing and heartbreaking strands of this story. “A plane falls out of the sky. A woman is murdered. Four people all have something to hide”. 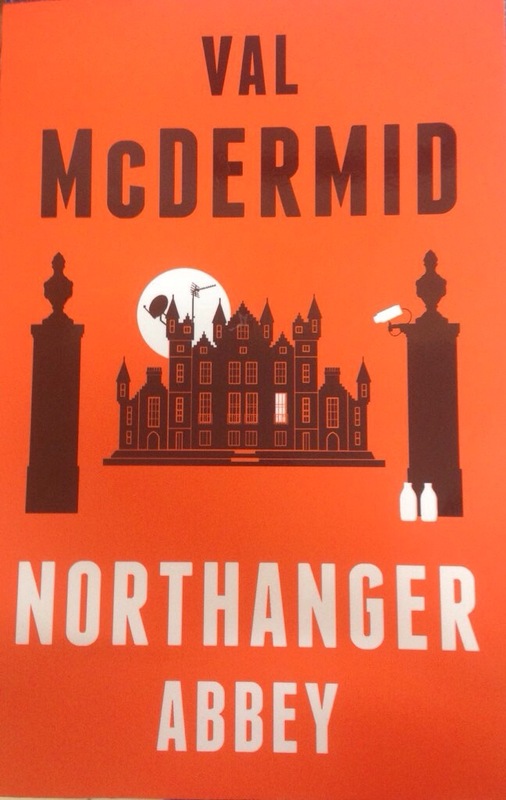 From the first few pages I knew that this would be a crime novel with a difference. The plot is expertly constructed and the characters, flawed but sympathetic, engaged me so that I found myself thinking about them even when I wasn’t reading the book. I raced through the first half of the book but then got a little bogged down for a few chapters when I was confused by what was happening in the present and what was flashbacks. There were also a couple of mix ups of timing / logic that spoilt my enjoyment slightly. (These may have been edited out – I was reading an early netgalley version). Overall though I found this a cracking read with a truly original plot. 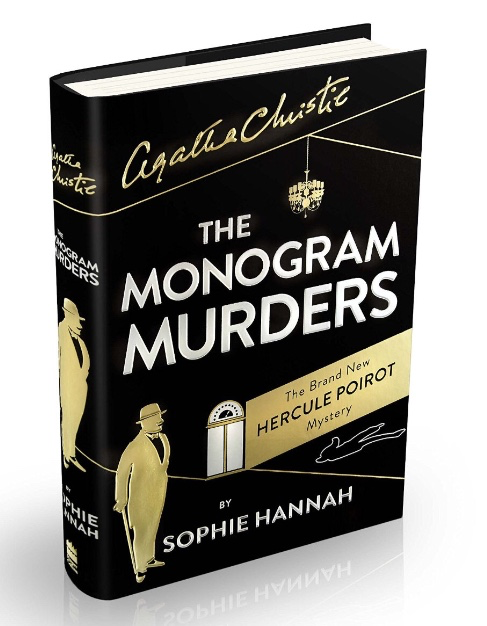 The Monogram Murders by Sophie Hannah. Read October 2014. Sheer escapism with the return of Poirot. I haven’t read an Agatha Christie novel for donkey’s years. I used to chain read them, devouring each one as soon as I could get my hands on it from the library. I loved them and they laid some of the foundations of my lifelong love of crime fiction. Added to that, Sophie Hannah is one of my favourite contemporary crime writers and her psychological thrillers are among my top reads of recent years. So you could say my expectations were high when I started The Monogram Murders! I’m pleased to report that I wasn’t disappointed. The plot was clever and well constructed and the characters were a colourful cast who I found at least as believable as those in the original Poirot stories. Some suspension of disbelief was necessary in order to enjoy the book fully, but once this was achieved I wallowed in the mystery and its intricate explanation. From the style to the plotting I could easily have taken this book to be an Agatha Christie original and enjoyed it as such, and now I’m hoping there may be more to come. The event’s coming to a close in the next hour. 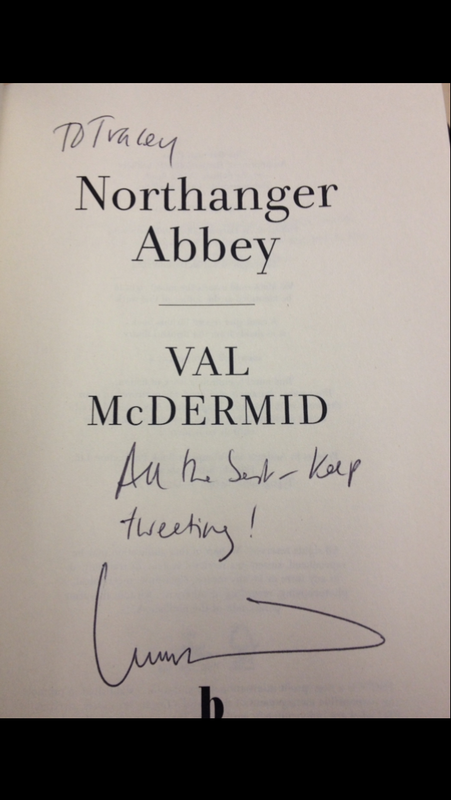 I definitely could have read more (if I’d stayed off Twitter) but I enjoyed the challenges & interacting with others. Definitely taking part next time & highly recommend to other readers! I’d suggest some short story collections so you can pick & mix. It’s been great, hard to think of anything. The hosts were great & all the links worked. The Monogram Murders & A Twist of the Knife. Best book: Apple Tree Yard by Louise Doughty – shocking and stunning My review. 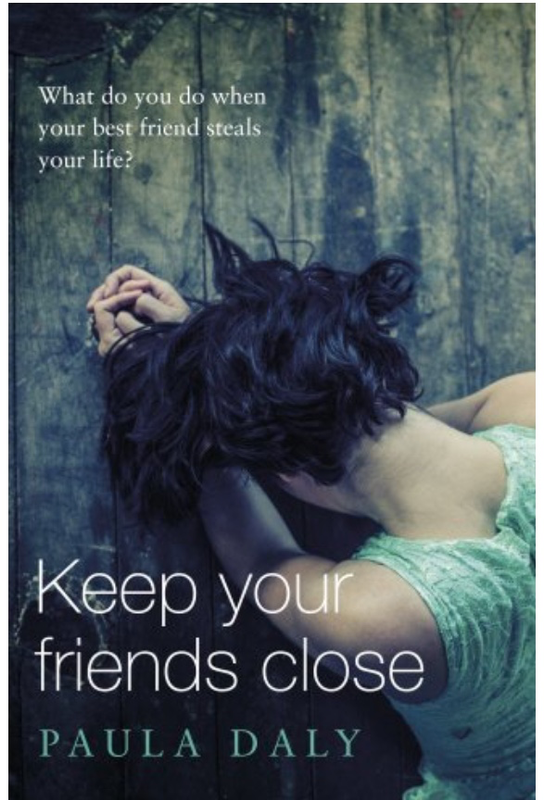 Best cover: Keep Your Friends Close by Paula Daly. This has been my favourite cover all year & it’s a great book too! Best author: I’ve looked at Goodreads & found the author I’ve read most this year which is Sophie Hannah (5 books read) who writes psychological thrillers with amazing plot twists. 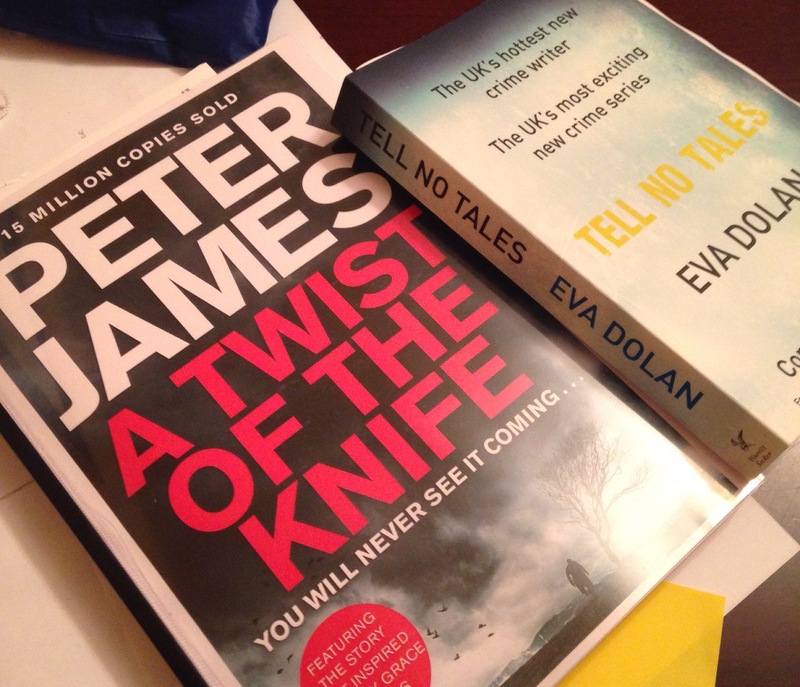 I’m swapping some books about – removing A Tap On The Window from my stack & slotting in a short story collection A Twist of the Knife by Peter James, which I’ll start as soon as I’ve completed book 1. 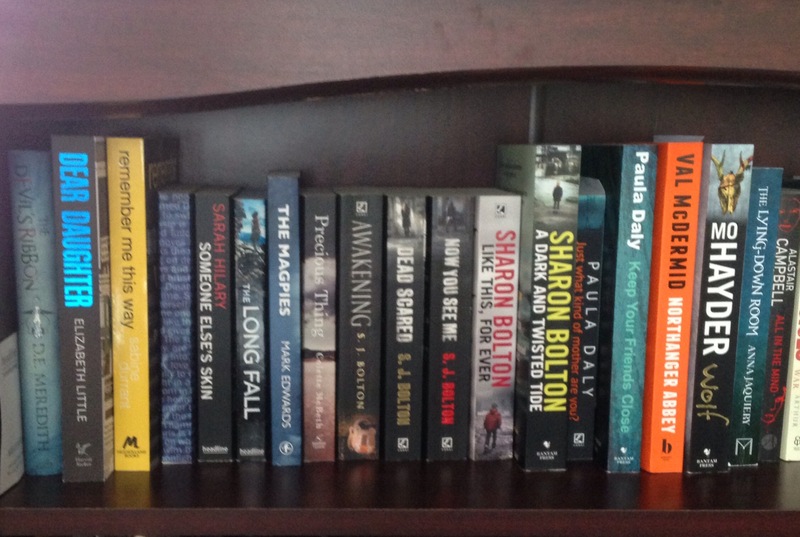 Crime fiction addict, especially psychological thrillers. Recently discovered a talent for haiku poems. Seeing if I can read past usual bedtime! I’m taking part in another readathon (I love readathons!) This one is a 24 hour readathon that takes place twice a year. Check out http://www.24hourreadathon.com for details. From 1pm Saturday 18 October, I’ll be doing as much reading as I can fit in to the next 24 hours. 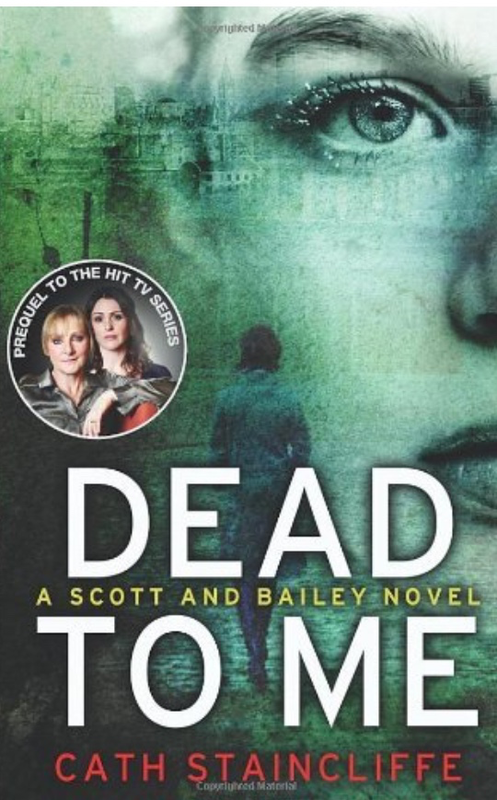 Dead To Me by Cath Staincliffe. Read October 2014. An enjoyable read but having watched the TV series I missed being able to imagine the characters for myself. For 90% if the book I was convinced I knew who the killer was (wrong!) and I was impressed with how the author led me down the wrong path. I think the strongest character is Gill Murray, in both the book and the TV programme. The parts of the story detailing her home life were the most absorbing for me. Fans of the TV show will enjoy finding out more about what makes the characters tick. I have two further books in the series to read but I think I’ll take a break from Scott & Bailey and work my way through some of my TBR pile first. 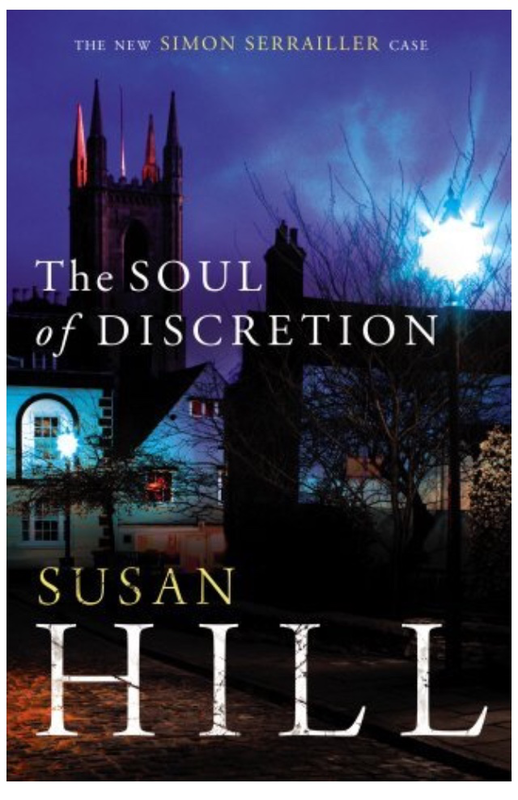 The Soul of Discretion by Susan Hill. Read October 2014. Two crime fiction books have unexpectedly made me cry recently, both in the Simon Serrailler series by Susan Hill, including this one. With each book I read in this series I declare it the best yet and this is no exception. As always the writing is wonderful and the story draws the reader in right from the first page. The importance of reading this series in order is underlined because it would be impossible to appreciate the impact of events on the recurring characters if you hadn’t followed their development through the other books. I’m finding it quite difficult to describe the plot of The Soul of Discretion without spoilers, and regular readers will know that spoilers are banned from my reviews, so all I will say is that none of the recurring characters will come out of this story unchanged and that readers are guaranteed an emotional roller coaster ride. 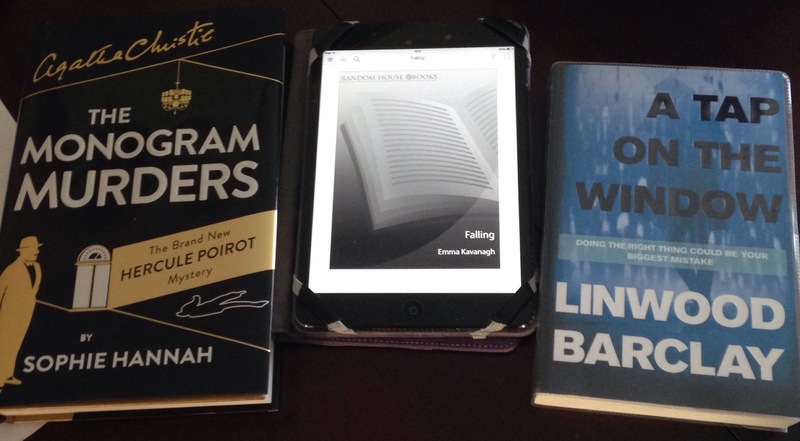 While reading this book I was inspired to write a blog post about some of my favourite crime fiction series and how the reading experience is enhanced if the reader is up to date with the latest instalment. The post is here. My name is Tracey and I’m a Crime Series addict. I’d like to take you through some of the series I’ve been enjoying for years and some that I’ve discovered recently. It was only when I sat down to write this post that I realised just how many series I’m following. The inspiration for the post was this: I was reading the latest book in one of my favourite series when I realised what it is that keeps me hooked. In the series I stick with, I’m involved as much with the relationships between the characters as I am with the crimes/plots. When I’m up to date with a series and reading the latest instalment, there’s always a chance that the author might have decided to do away with the main character and therefore the series and this adds to the tension and suspense of the book (when playing catch up this Could It Be The End? element is lost as you know there are other books in the set). So, what was going to be my Top Ten turned into a Top Fifteen, then I remembered a couple I’d missed and a couple on my TBR I’m looking forward to as they’ve been highly recommended. 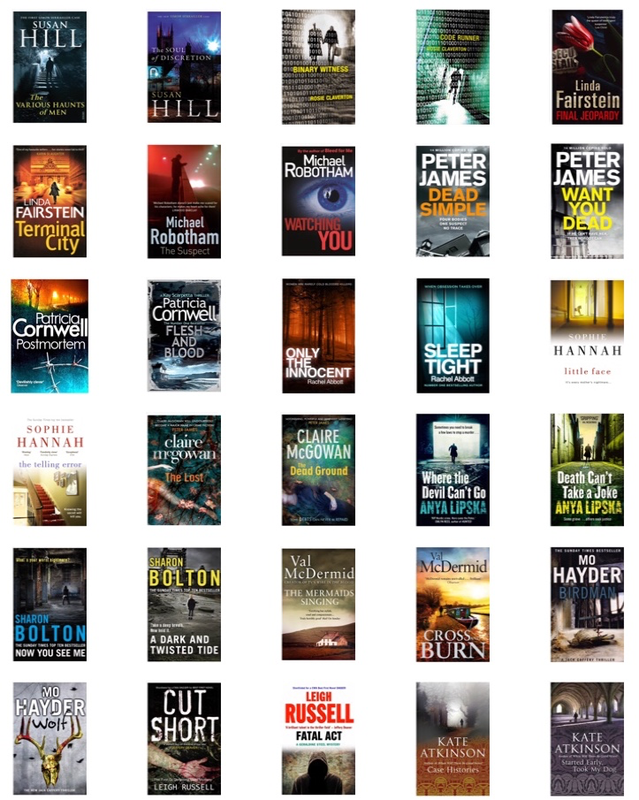 With thanks to fantasticfiction.co.uk for the dates info, here’s the list, in no particular order apart from when I most recently read an instalment. I’d love to hear your thoughts and recommendations.